Bookings of the new variant are open and deliveries are set to begin from the first week of October; comes with eight new premium features. FCA India has announced the roll-out of the new 'Limited Plus' variant of its Compass SUV, which is based on the range-topping 'Limited' trim. With the addition of the top-of-the-line Limited Plus variant, the entire Jeep Compass range is now available to customers between ₹ 15.35 lakh and ₹ 22.85 lakh (Ex-showroom, Delhi). The Limited Plus trim will be offered in three derivatives. 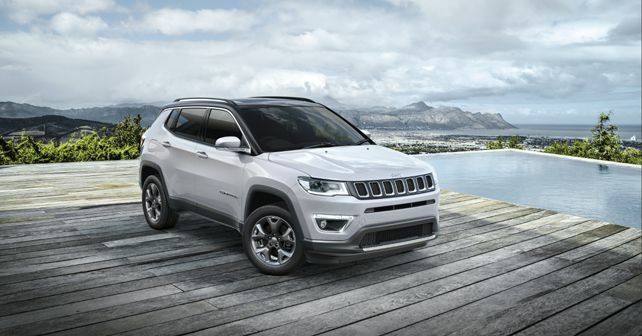 The list of additional goodies includes features like a panoramic dual-pane sunroof and new 18-inch dual-tone alloy wheels which have a similar design to those seen on the Compass Trailhawk. On the inside, the Limited Plus gets a larger 8.4-inch UConnect infotainment screen and tan leather seats with power adjust and memory function for the front row. It also gets an auto-dimming rearview mirror, automatic headlamps (Bi-Xenon or HID) and rain-sensing wipers as standard. In the list of safety features, the Compass Limited Plus gets six airbags as compared to the lower variants which only come with dual front airbags. With only feature upgrades, the Compass Limited Plus does not get any mechanical or tuning changes.